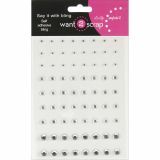 Want2Scrap Self-Adhesive Rhinestones 72/Pkg - WANT2SCRAP- Self-Adhesive Bling. Say it with bling! 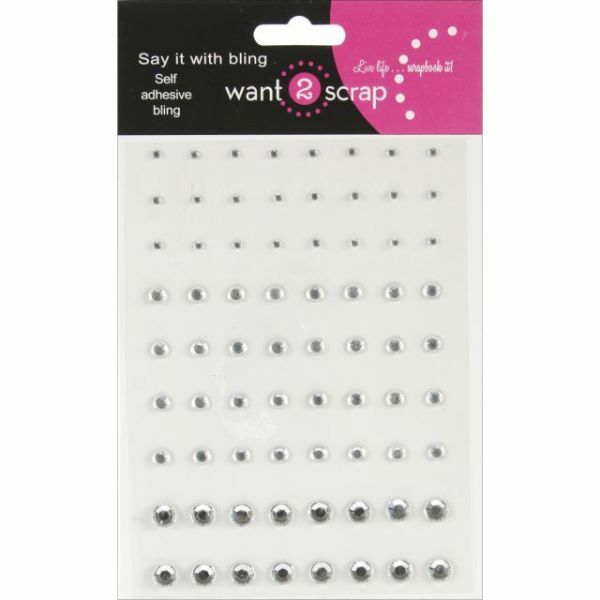 This bling will add sparkle and shine to all your crafting projects. Available in a variety of colors (each sold separately). Individual pieces vary in size from 2 to 8mm in diameter. This package contains seventy-two self-adhesive pieces. Imported.